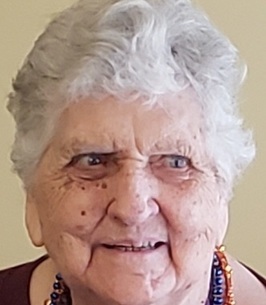 Doris Fern (Hall) Skinner, 89, of Camby, passed away peacefully on November 4, 2018, with her loving family by her side. She was born to George Dewey and Mary (Bryant) Hall on March 3, 1929 in Scottsburg. She married Leonard Skinner on June 5, 1947. Doris is survived by three loving children, Karen Hancock of Camby, Rick (Pam) Skinner of Camby and Connie Heiden of Indianapolis; seven grandchildren; ten great-grandchildren; and a brother, Loren (Betty) Hall of Scottsburg. She is preceded in death by her parents; husband; a daughter, Vickie Seller-Henry; a grandson, J.R. Seller; two sisters, Thelma Mount and Margaret Cummins; and three brothers, George, Kelso and Lawrence Hall. Doris was a Cook for Laughner's Cafeteria in Plainfield for six years. She loved to cook and bake; especially for family gatherings. She loved spending time with her family; especially with her grandchildren and great-grandchildren. She lived in Indianapolis since 1934 and 16 years in her birthplace of Scottsburg. Family and friends may show their love and support from 10:30 - 11:30 a.m. on Friday, November 9th at Camby Community Church, 8604 Camby Rd., Camby, IN 46113, with Pastor Charles Paxton officiating Doris's celebration of life memorial service at 11:30 a.m.
To send flowers to the family of Doris Fern Skinner (Hall), please visit our Heartfelt Sympathies Store. I am very sorr for your loss. May “the Father of tender mercies and the God of all comfort, who comforts us in all our trials so that we may be able to comfort others in any sort of trial with the comfort that we receive from God” comfort you at this most difficult time. 2 Corinthians 1:3, 4. Aunt Doris was like a mother to me. I even lived with her for a while. She was a truly good, open minded, and honest person. She had the best quirky sense of humor and I will miss that dearly. She always told me she loved me every time I visited her. I love her with all my heart, and will always miss her. Time will soften the pain for her children, and all the rest of the family that loved her.